Yellow Bird of ParadiseSouth American shrub or multi-trunk tree. Zones 8-16 and 18-24. Fast growth. ..
Mexican Bird of ParadiseEvergreen multi-trunk tree in mild climates. Zones 12-16 and 18-24. Fast gro..
Red Bird of ParadiseEvergreen shrub in mildest climates. Zones 12-16, 18-23. Native to tropical Amer..
Feather Reed GrassPerennial grass. Moderate growth, spreading clump. Semi-evergreen, beautiful archi.. Lemon Bottle BrushEvergreen shrub. Fast growing, upright, slightly weeping form. Bright red, 6 inch .. Pink Lemon BottlebrushEvergreen shrub. Rounded habit. Can become quite dense with pruning. Thin gree.. Lemon Bottle BrushEvergreen shrub. Pruned into a small, single trunk patio tree. Fast growing, uprig.. Lemon BottlebrushEvergreen shrub. Pruned into a single trunk tree. Fast growing, upright, slightly w.. Lemon BottlebrushEvergreen shrub. Trained to grow on a trellis. 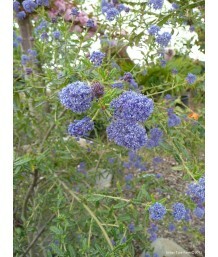 Fast growing, upright, slightly weep..
Weeping BottlebrushEvergreen shrub or tree. Fast growth. Weeping habit. Light green, narrow leaves. .. Dwarf Bottle BrushEvergreen shrub. Fast growing, compact weeping form. 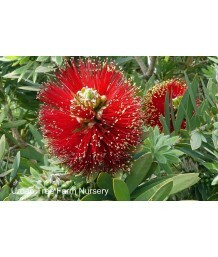 Bright red, 2-3 inch long bru..
BottlebrushEvergreen shrub. Soft, green leaves. 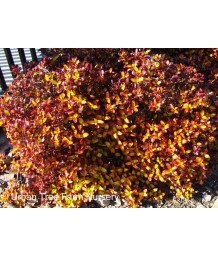 New foliage has a bright red tone in spring and fall..
Scotch HeatherEvergreen shrub. Zones 2-6 and 15-17. Fast growth. Dark green foliage. Deep red flower..
Scotch HeatherEvergreen shrub. Zones 2-6 and 15-17. Fast growth. Pale grey-green to deep-green folia..
Scotch HeatherEvergreen shrub. Zones 2-6 and 15-17. Fast growth. Dark green foliage. Deep purplish r..
Scotch HeatherEvergreen shrub. Zones 2-6 and 15-17. Fast growth. Dark green foliage. Lavender-purple..
Scotch HeatherEvergreen shrub. Zones 2-6 and 15-17. Fast growth. Vermillion foliage tips in winter-s.. 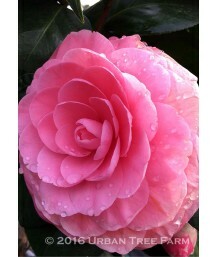 Hybrid CamelliaEvergreen shrub. Slow growth. Leathery, dark green foliage. Light pink, edged darker .. Hybrid CamelliaEvergreen shrub. Slow growth. Glossy oval leaves with serrated edges are dark green. .. Hybrid CamelliaEvergreen shrub. Slow growth. Upright growth habit with dark, glossy green foliage. S.. 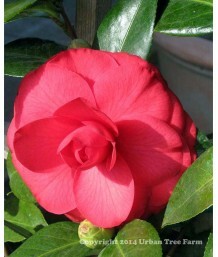 Hybrid CamelliaEvergreen shrub. Slow growth. Glossy oval leaves are dark green. Zig-zag stems create.. 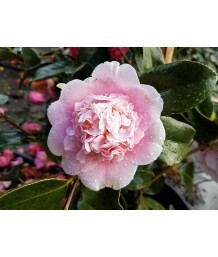 Hybrid CamelliaEvergreen shrub. Slow growth. Upright habit. Rich, dark-green leaves. Semi-double cor.. 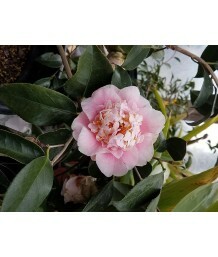 Hybrid CamelliaEvergreen shrub. Trained to grow on a trellis. Slow growth. Upright habit. Rich, dark.. Hybrid CamelliaEvergreen shrub. Slow growth. Leathery, dark green foliage. Light pink, medium sized,.. 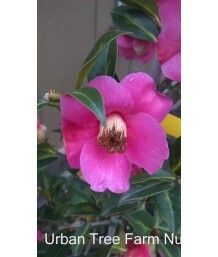 Hybrid CamelliaEvergreen shrub. Slow growth. Open graceful habit, with leathery green leaves and man.. 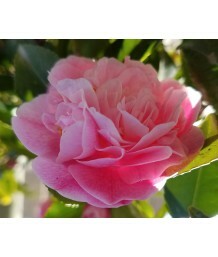 Hybrid CamelliaEvergreen shrub. Slow growth. Open graceful habit, with small leaves and many deep pi.. Hybrid CamelliaEvergreen shrub. Slow growth. Slightly smaller stature than other camellias. Upright .. Hybrid CamelliaEvergreen shrub. Slow growth. Leathery, dark green foliage. Light pink, large, semi-d.. 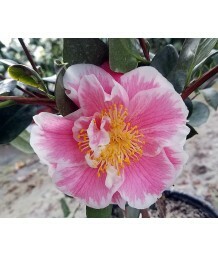 Hybrid CamelliaEvergreen shrub. Trained to grow on a trellis. Slow growth. Leathery, dark green foli.. 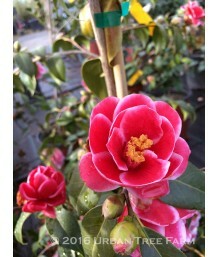 Hybrid CamelliaEvergreen shrub. Slow growth. Glossy oval leaves are dark green. Single flowers with ..
Japanese CamelliaEvergreen shrub. Slow growth. Glossy, dark green foliage. Upright, dense habit. Red..
Japanese CamelliaEvergreen shrub. Shiny deep green leaves contrast with beautiful, big, double form ..
Japanese CamelliaEvergreen shrub. Slow growing. Dark green, leathery foliage. 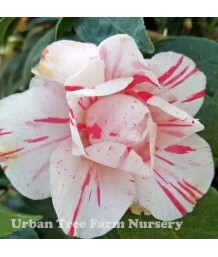 Fragrant, pink and whi..
Japanese CamelliaEvergreen shrub. Slow growth. Dark green, leathery foliage. Silvery-pink double peo..
Japanese CamelliaEvergreen shrub. Shiny deep green leaves contrast with beautiful, big, peony form f..
Japanese CamelliaEvergreen shrub. Shiny glossy green leaves contrast with beautiful, big, fully doub..
Japanese CamelliaEvergreen shrub. Slow growth. Dark green, leathery serrated foliage. Large dark bla..
Japanese CamelliaEvergreen shrub. Slow growth. Glossy, deep green leaves. Medium, deep reddish orang..
Japanese CamelliaEvergreen shrub. Trained to grow on a trellis. Slow growth. Glossy, deep green leav..
Japanese CamelliaEvergreen shrub. Slow growing. Compact, upright growth habit. 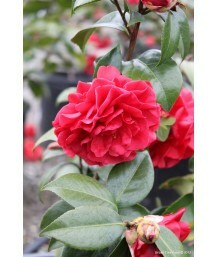 Large semi-double, da..
Japanese CamelliaEvergreen shrub. Pruned into a small, single trunk tree. Slow growing. Compact, upr..
Japanese CamelliaEvergreen shrub. Trained to grow on a trellis. Slow growing. 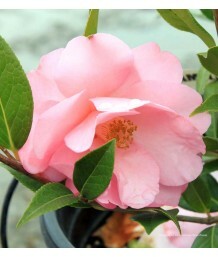 Compact, upright growt..
Japanese CamelliaEvergreen shrub. Slow growing. Glossy, dark green leaves. Fragrant, ruffled, semi-d..
Japanese CamelliaEvergreen shrub. Slow growing. Glossy, touch green foliage. 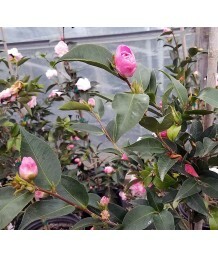 Medium sized, double pi..
Japanese CamelliaEvergreen shrub. Slow growing. Dark green, glossy foliage. Upright habit. 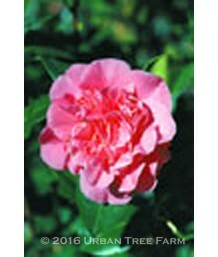 Medium si..
Japanese CamelliaEvergreen shrub. Slow growth. Slightly upright growth habit with dark, glossy green..
Japanese CamelliaEvergreen shrub. Slow growing. Dense compact growth habit. Red blooms with white sp..
Japanese CamelliaEvergreen shrub. Slow growing. Upright, spreading habit. Dark green, glossy foliage..
Japanese CamelliaEvergreen shrub. Pruned into a small, single trunk tree. Slow growing. 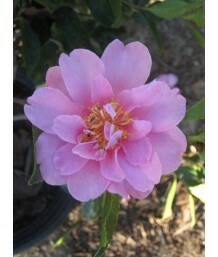 Upright, spr..
Japanese CamelliaEvergreen shrub. Slow growing. Dark green, glossy foliage. Rose pink peony blooms s..
Japanese CamelliaEvergreen shrub. Slow growth. Upright, dense form. 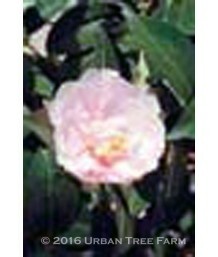 Medium-sized, pale pink, peony f..
Japanese CamelliaEvergreen shrub. Pruned into a small, single trunk tree. Slow growth. Upright, dens..
Japanese CamelliaEvergreen shrub. Trained to grow on a trellis. Slow growth. Upright, dense form. Me..
Japanese CamelliaEvergreen shrub. Slow growth. Dark green, glossy foliage. 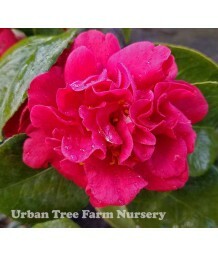 Medium to large, formal-d..
Japanese CamelliaEvergreen shrub. Slow growing. Glossy, dark green foliage. 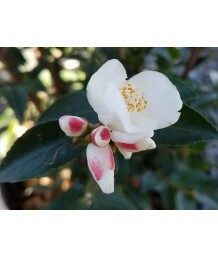 Semi-double, white bloom..
Japanese CamelliaEvergreen shrub. Pruned into a single trunk tree. Slow growing. Glossy, dark green ..
Japanese CamelliaEvergreen shrub. Trained to grow on a trellis. Slow growing. Glossy, dark green fol..
Japanese CamelliaEvergreen shrub. Slow growth. Dark green, leathery foliage. 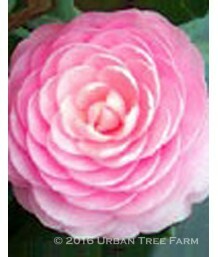 Formal double petal flo..
Japanese CamelliaEvergreen shrub. Slow growing. Dark green, glossy leaves. Semi-double cup-shaped, s..
Japanese CamelliaEvergreen shrub. Slow growing. Dark, glossy green leaves. Double white rose form fl..
Japanese CamelliaEvergreen shrub. Slow growth. Dark green, glossy foliage. Pale pink, fragrant peony..
Japanese CamelliaEvergreen shrub. Slow growth. Dark green, glossy foliage that is serrated much like..
Japanese CamelliaEvergreen shrub. Slow growth. Dark green, glossy foliage. 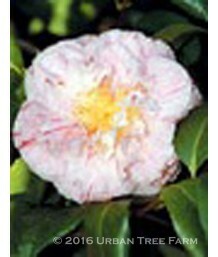 Sem-double peony form blo..
Japanese CamelliaEvergreen shrub. Pruned into a small, single trunk tree. Slow growth. Dark green, g..
Japanese CamelliaEvergreen shrub. Slow growth. Dark green, glossy foliage. 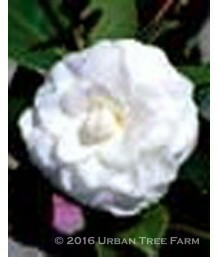 Large, pure white, peony-..
Japanese CamelliaEvergreen shrub. Slow growth. Dark green, glossy foliage. Upright, compact habit. 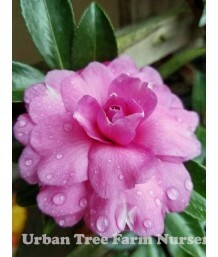 V..
Japanese CamelliaEvergreen shrub. Trained to grow on a trellis. Slow growth. Dark green, glossy foli..
Japanese CamelliaEvergreen shrub. Slow growth. Dark green, glossy leaves. Deep red buds open to magn..
Japanese CamelliaEvergreen shrub. Trained to grow on a trellis. Slow growth. Dark green, glossy leav..
Japanese CamelliaEvergreen shrub. Slow growth. Distinctive in form and flower. Slightly weeping bran..
Japanese CamelliaEvergreen shrub. Slow growth. Dark green glossy foliage. 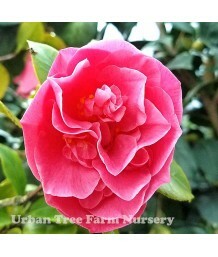 Bright, rose pink double b..
Japanese CamelliaEvergreen shrub. Pruned into a single trunk tree. Slow growth. Dark green glossy fo..
Japanese CamelliaEvergreen shrub. Slow growth. Dark green, glossy leaves. 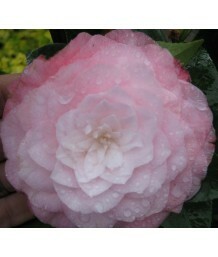 Large formal double blosso..
Japanese CamelliaEvergreen shrub. Slow growth. Glossy, dark green foliage. Upright, dense habit. Pal..
Japanese CamelliaEvergreen shrub. Slow growth. Dark green, glossy foliage. 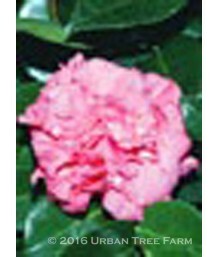 Large, semi-double, peony..
Japanese CamelliaEvergreen shrub. Slow growth. Deep green, glossy foliage. Very large, double blooms..
Japanese CamelliaEvergreen shrub. Slow growing. Columnar growth habit. Large full peony form, very d..
Japanese CamelliaEvergreen shrub. Slow growth. Glossy, deep green foliage. 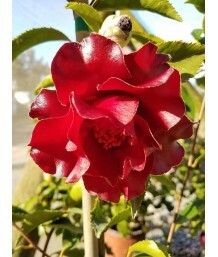 Deep red, semi-double flo..
Japanese CamelliaEvergreen shrub. Slow growth. Glossy, dark green foliage. 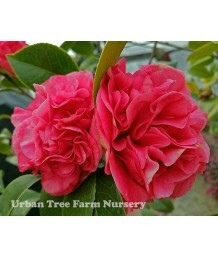 Large, open semi-double t..
Japanese CamelliaEvergreen shrub. Trained to grow on a trellis. Slow growth. Glossy, dark green foli..
Japanese CamelliaEvergreen shrub. Slow growth. Glossy, green foliage. Open, upright habit. 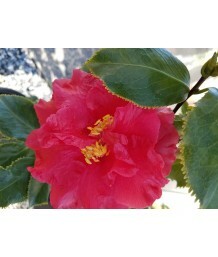 Large, fo..
Japanese CamelliaEvergreen shrub. Pruned into a small, single trunk tree. Slow growth. Glossy, green..
Japanese CamelliaEvergreen shrub. Trained to grow on a trellis. Slow growth. Glossy, green foliage. 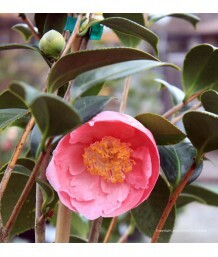 ..
Japanese CamelliaEvergreen shrub. Slow growth. Glossy, dark green foliage. Compact habit. 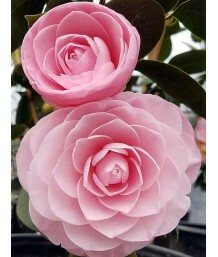 Semi-doubl..
Japanese CamelliaEvergreen shrub. Slow growth. Leathery, dark green foliage. 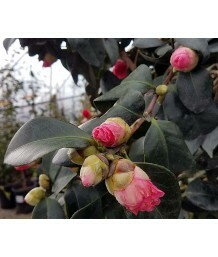 Coral-pink, formal doub..
Japanese CamelliaEvergreen shrub. Slow growth. Glossy, dark green foliage. 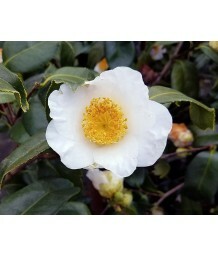 Bright white, formal, dou..
Japanese CamelliaEvergreen shrub. Pruned into a small, single trunk tree. Slow growth. Glossy, dark ..
Japanese CamelliaEvergreen shrub. Slow growth. Glossy, dark green foliage. Dense bushy habit. 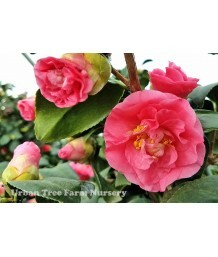 Medium..
Japanese CamelliaEvergreen shrub. Slow growth. Glossy, dark green foliage. 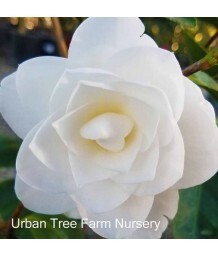 Fully double pure white b..
Japanese CamelliaEvergreen shrub. Glossy green leaves contrast with beautiful, semi-double form weep..
Japanese CamelliaEvergreen shrub. Slow growth. Glossy, dark green leaves. 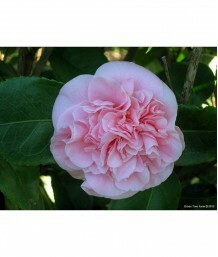 Soft, shell pink formal do..
Japanese CamelliaEvergreen shrub. Slow growth. Upright habit. 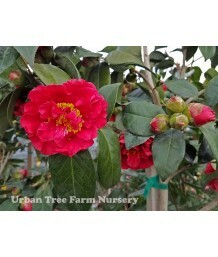 Glossy, dark green foliage has a uniqu..
Japanese CamelliaEvergreen shrub. Slow growth. Glossy, deep green foliage. Hot pink, peony to semi-d..
Japanese CamelliaEvergreen shrub. Slow growth. Glossy, deep green foliage. Also known as 'Otome'. 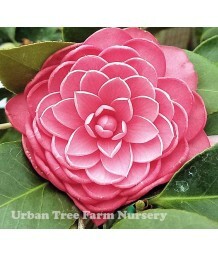 Up..
Japanese CamelliaEvergreen shrub. Trained to grow on a trellis. Slow growth. Glossy, deep green foli..
Japanese CamelliaEvergreen shrub. Slow growth. Glossy, deep green foliage. 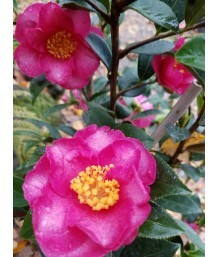 Upright, slightly spreadi..
Japanese CamelliaEvergreen shrub. Slow growth. Glossy, dark green foliage. Large, snowy white formal..
Japanese CamelliaEvergreen shrub. Slow growth. Dark green, leathery foliage. Large, anemone-form flo..
Japanese CamelliaEvergreen shrub. Slow growth. Glossy, dark green foliage. 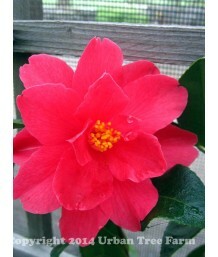 Large, sweetly fragrant, ..
Japanese CamelliaEvergreen shrub. Slow growth. Long branches form a weeping habit with broad, dark g..
Japanese CamelliaEvergreen shrub. Slow growth. Glossy, deep green foliage. 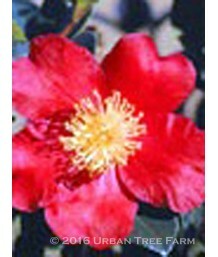 Large, anemone form bloom..
Japanese CamelliaEvergreen shrub. Pruned into a small, single trunk tree. Slow growth. Glossy, deep ..
Japanese CamelliaEvergreen shrub. Slow growth. Glossy, deep green foliage. 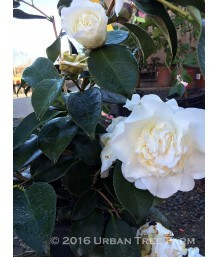 Large, silvery white, sem..
Japanese CamelliaEvergreen shrub. Slow growth. Glossy, dark green foliage. Upright, dense habit. 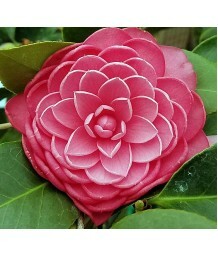 Pin..
Japanese CamelliaEvergreen shrub. Slow growth. Glossy, dark green foliage. Snow white, very large bl..
Japanese CamelliaEvergreen shrub. Slow growth. Glossy, dark green foliage. Small, blush pink peony f..
Japanese CamelliaEvergreen shrub. Slow growth. Glossy, dark green foliage. Miniature formal double t..
Japanese CamelliaEvergreen shrub. Slow growth. Glossy, dark green foliage. Flowers are rose pink wit..
Japanese CamelliaEvergreen shrub. Slow growth. Glossy, dark green foliage. 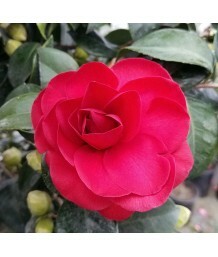 Deep red semi-double flow..
Japanese CamelliaEvergreen shrub. Slow growth. Glossy, dark green foliage. 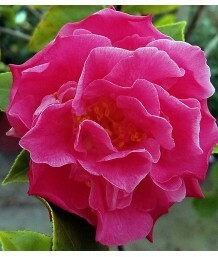 Single flowers are scarle..
Japanese CamelliaEvergreen shrub. Slow growth. Glossy, dark green foliage. 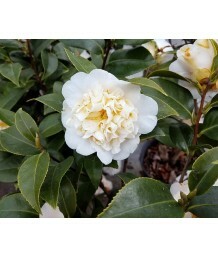 White, medium, formal dou..
Japanese CamelliaEvergreen shrub. Slow growing. Upright form. 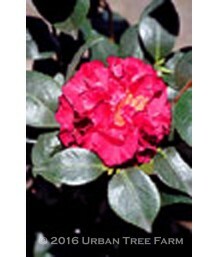 Large dark red, rose-form blooms Octob..
Japanese CamelliaEvergreen shrub. Pruned into a small, single trunk tree. Slow growing. Upright form..
Japanese CamelliaEvergreen shrub. Trained to grow on a trellis. Slow growing. Upright form. 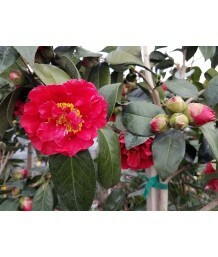 Large da..
Japanese CamelliaEvergreen shrub. Slow growing. 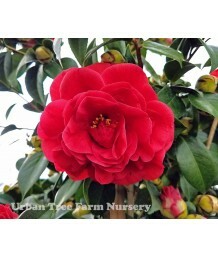 Unryu means "dragon in the clouds" referring to the ..
Japanese CamelliaEvergreen shrub. Slow growth. Glossy, dark green foliage has a unique fish-tail app..
Japanese CamelliaEvergreen shrub. Slow growth. Glossy, dark green foliage. Upright, dense habit. 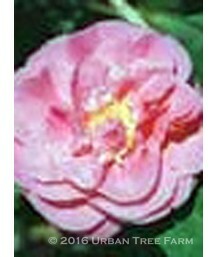 Sin..
CamelliaEvergreen shrub. Slow growth. Upright, open, spreading habit. Glossy, dark green foliage. Ve..
Sasanqua CamelliaEvergreen shrub. Slow growth. Glossy, dark green foliage. 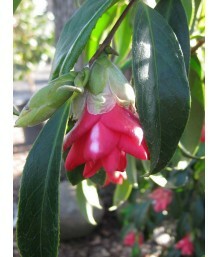 Varies from upright and b..
Sasanqua CamelliaEvergreen shrub. Glossy, dark green foliage. 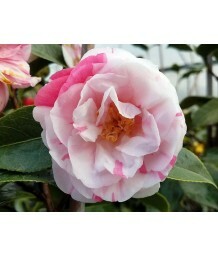 Profuse pink-edges white blooms with y..
Sasanqua CamelliaEvergreen shrub. Slow growth. Glossy, dark green foliage. 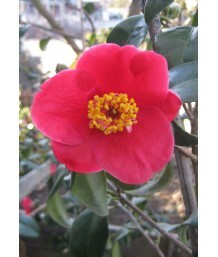 Profuse striking, scarlet..
Sasanqua CamelliaEvergreen shrub. Slow growth. Glossy, deep green foliage. Low growing, spreading ha..
Sasanqua CamelliaEvergreen shrub. Trained to grow on a trellis. Slow growth. Glossy, deep green foli..
Sasanqua CamelliaEvergreen shrub. Slow growing. Upright compact growth habit. 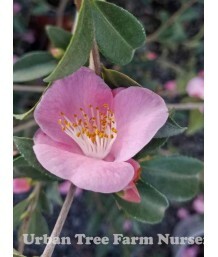 Small light pink semi-..
Sasanqua CamelliaEvergreen shrub. Pruned into a small, single trunk tree. Slow growing. Upright comp..
Sasanqua CamelliaEvergreen shrub. Trained to grow on a trellis. Slow growing. 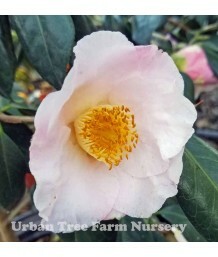 Upright compact growth..
Sasanqua CamelliaEvergreen shrub. Pruned into a small, single trunk tree. Slow growth. Glossy, dark ..
Sasanqua CamelliaEvergreen shrub. Trained to grow on a trellis. Slow growth. Glossy, dark green foli..
Sasanqua CamelliaEvergreen shrub. Glossy dark green leaves contrast with beautiful, semi-double form..
Sasanqua CamelliaEvergreen shrub. Slow growing. Small deep rose-pink semi-double blooms November to ..
Sasanqua CamelliaEvergreen shrub. Pruned into a small, single trunk tree. Slow growing. Small deep r..
Sasanqua CamelliaEvergreen shrub. Trained to grow on a trellis. Slow growing. 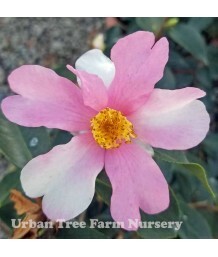 Small deep rose-pink s..
Sasanqua CamelliaEvergreen shrub. Slow growth. Glossy, dark green foliage is thin but leathery. Larg..
Sasanqua CamelliaEvergreen shrub. Slow growth. Upright habit. Glossy, dark green foliage is thin but..
Sasanqua CamelliaEvergreen shrub. Slow growth. Glossy, dark green foliage. Strongly upright habit. 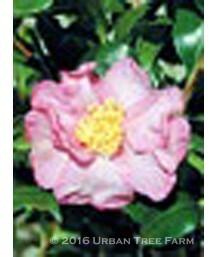 S..
Sasanqua CamelliaEvergreen shrub. Slow growth. Glossy, dark green foliage. Large, semi-double, brigh..
Sasanqua CamelliaEvergreen shrub. Slow growth. Glossy, dark green foliage. 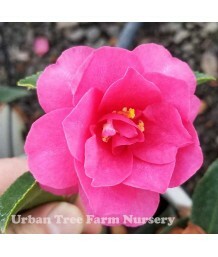 Profuse hot pink, semi-do..
Sasanqua CamelliaEvergreen shrub. Pruned into a single trunk tree. Slow growth. Glossy, dark green f..
Sasanqua CamelliaEvergreen shrub. Slow growth. Glossy, dark green foliage. 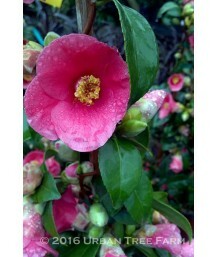 Upright, slightly weeping..
Sasanqua CamelliaEvergreen shrub. Slow growth. Glossy, deep green foliage. 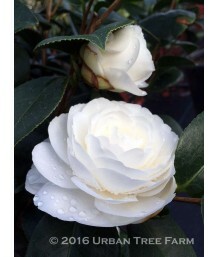 Bright white, semi-double..
Sasanqua CamelliaEvergreen shrub. Slow growing. Dense, very upright growth habit. 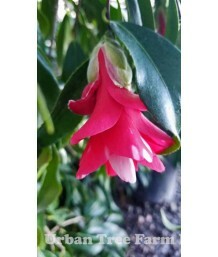 Small single brigh..
Sasanqua CamelliaEvergreen shrub. Pruned into a single trunk tree. Slow growing. Dense, very upright..
Sasanqua CamelliaEvergreen shrub. Trained to grow on a trellis. Slow growing. Dense, very upright gr.. Tea CamelliaEvergreen shrub. Slow growth. Upright habit. 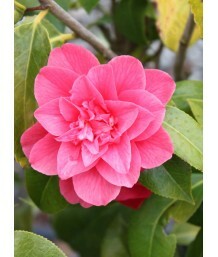 Glossy, dark green foliage is thin but leat..
CamelliaEvergreen shrub. Slow growing. Native to Taiwan. Small, glossy, oblong, green leaves. 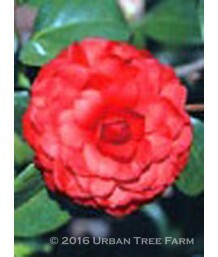 Small,..
CamelliaEvergreen shrub. Slow growth. Dark green, leathery foliage. Single pure white flowers with y.. Dwarf Natal PlumEvergreen shrub in mild climates. Zones 12,13 16-24; H2. African native. Nearly spin..
Natal PlumEvergreen shrub in mild climates. Zones 12, 13, 16-24, H2. African native with spiny thorn..
Bush AnemoneEvergreen shrub. California native. Glossy, deep green leaves contrast with snowy white ..
Wild LilacEvergreen shrub. California native. Fast growth with round form. Tiny leaves, powder blue ..
Wild LilacEvergreen shrub. California native. Dark green textured leaves on sturdy stems. Deep vivid..
Wild LilacEvergreen shrub. California native. 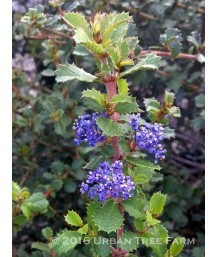 This specimen is trained up onto a stake in the center..
Wild LilacEvergreen groundcover. California native. Fast growth. Glossy, oval, 2in dark green leaves..
Wild LilacEvergreen shrub. California native. Graceful arching branches carry dark green leaves. Daz..
Wild LilacEvergreen shrub. California native. Fast growth. Wider than it is tall. Drought tolerant. ..
Wild LilacEvergreen shrub. California native. Fast growth with spreading form. Small very dark green..
Wild LilacEvergreen shrub. California native. Fast growth. Wider than it is tall. Medium sized leave..
Wild LilacEvergreen shrub. California native. Fast growth with round form. Small leaves with dark bl..
Wild LilacEvergreen shrub. California native. Fast growth. 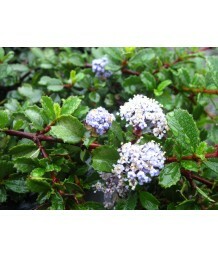 Mounding shrub has small dark green leave..
Wild LilacEvergreen shrub. California native. Fast growth with round form. Larger leaves with large ..
Wild LilacEvergreen shrub. California native. Pruned into a single trunk tree. Fast growth with roun..
Wild LilacEvergreen shrub. California native. Small, textured, shiny green leaves. 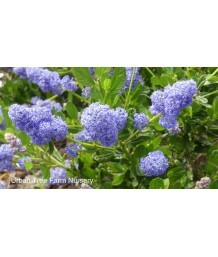 Bright purple-blu..
Wild LilacEvergreen shrub. California native. Wide branching habit. Dark green, textured leaves. 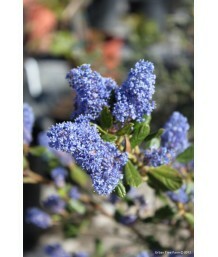 Bri..
Wild LilacEvergreen shrub. California native. Moderate to fast growth. Broad spreading habit. Glossy..
Wild LilacEvergreen shrub. California native. Low spreading ground cover. Fast growth. 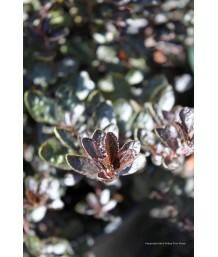 Leathery, dar..
Mountain Wild LilacEvergreen groundcover. California native. Fast growth. Small, toothed leaves that..
Wild LilacEvergreen shrub. California native. 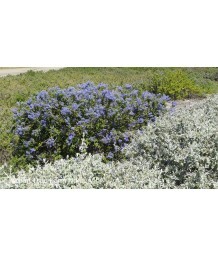 This coastal species is one of the more deer-resistant..
Wild LilacEvergreen shrub. California native. Fast growth. Dense, dark green glossy foliage. Showy m..
Wild LilacEvergreen shrub. California native. Moderate growth. Glossy, near black foliage with laven..
Wild LilacEvergreen groundcover. California native. Fast growth. 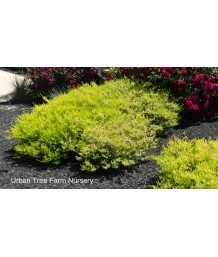 Glossy, oval, 2in bright green leav..
Wild LilacEvergreen groundcover. California native. Fast growth. One inch rounded green leaves have ..
Wild LilacEvergreen groundcover. California native. Fast growth. Small, leathery green leaves have a..
Wild LilacEvergreen shrub. California native. Vigorous, widely spreading habit. Shiny, dark green le..
Wild LilacEvergreen shrub. California native. Rapid, low, spreading habit. Dense form with shiny gre..
Wild LilacEvergreen shrub. California native. Slow growth with a low spreading form. Slightly archin..
Wild LilacEvergreen shrub. California native. Compact, creeping shrub. Small, closely packed leaves ..
Wild LilacEvergreen shrub. California native. Graceful arching branches carry dark green leaves. 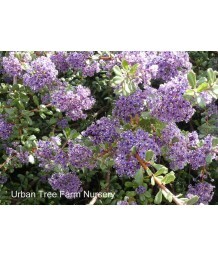 Com..
Wild LilacEvergreen shrub. California native. Fast growth. Low, mounding shrub has stiff angular bra..
Wild LilacEvergreen shrub. California native. Fast growth. Graceful upright habit. Lime-yellow varie..
Wild LilacEvergreen shrub. California native. Fast growth. 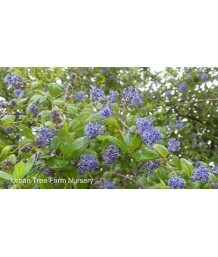 Round habit, can be shaped into a small t..
Wild LilacEvergreen shrub. California native. Fast growth. Dome-shaped and compact habit. Bright glo..
Wild LilacEvergreen shrub. California native. Fast growth. Rich green glossy foliage. Profuse pure w..
Night-blooming JasmineEvergreen shrub in mild climates. Hardy to 25-30°F. 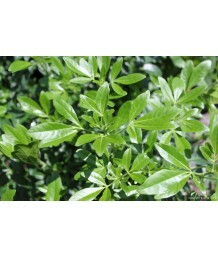 Easily controlled by pruni..
Mexican OrangeEvergreen shrub. Moderate growth rate. Rounded form. 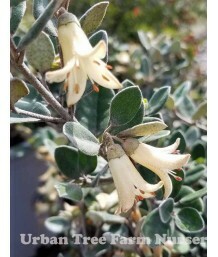 Small white fragrant flowers have..
Mexican OrangeEvergreen shrub. Slow growing. Upright habit with golden narrow leaves. 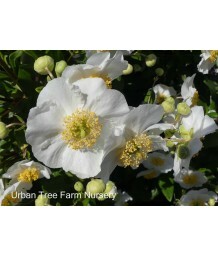 Fragrant white..
Mexican OrangeEvergreen shrub. Fragrant star-shaped white flowers bloom from late spring to early su..
Mexican OrangeEvergreen shrub. Narrow, green, finger-like foliage. Pale pink buds open to fragrant w..
RockroseEvergreen shrub. Moderate growth rate. Horizontally spreading form. Small deep vibrant pink .. Dwarf Variegated RockroseEvergreen shrub. Dwarf habit. 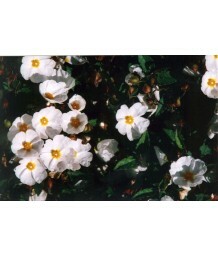 Pure white, single blooms with yellow centers..
White RockroseEvergreen shrub. Fast growing. Mounding, horizontally spreading form. Small white flow..
White RockroseEvergreen shrub. Fast growing. Mounding, horizontally spreading form. 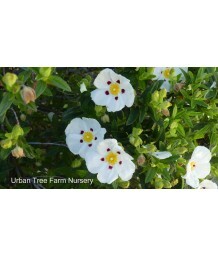 Charming white f..
White Rockrose/Variegated RockroseEvergreen shrub. Yellow and green variegated, textured foliage. Wh..
Crimson Spot Rock RoseEvergreen shrub. Fast growth. Sticky, slender lance-shaped dark green leaves t..
Orchid RockroseEvergreen shrub. Fast growing. Compact rounded form. Medium sized bright pink flowers..
Sageleaf Rock RoseEvergreen shrub. Wide-spreading shrub with sage-colored foliage. 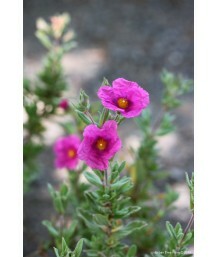 Profuse blooms of..
Sageleaf Rock RoseEvergreen groundcover. Gray-green foliage looks wrinkled like a sage leaf. 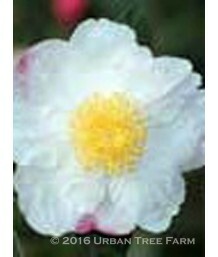 White f..
RockroseEvergreen shrub. Fast growing. Horizontally spreading form. 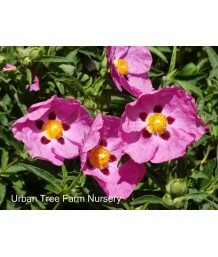 Abundance of small light pink fl..
RockroseEvergreen shrub. Rounded habit. Dark green, textured foliage. Pure white, daisy-like flowers..
Japanese cleyeraEvergreen Shrub. Growing at a moderate rate with graceful, arching branches. New lea..
Natal LilyEvergreen bulb in mild climates. 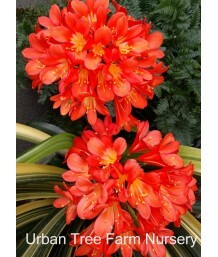 Hardy to 25-30 degrees F. Dark green narrow long bladed f..
Orange Bush LilyEvergreen bulb in mild climates. Dark green narrow long bladed foliage. 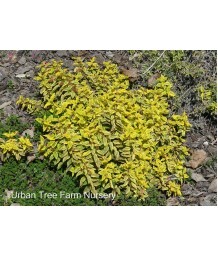 Clusters of ..
Yellow Bush LilyEvergreen bulb in mild climates. Dark green narrow long bladed foliage. Clusters of ..
Laurel-leaf CoccoculusEvergreen Shrub or tree. 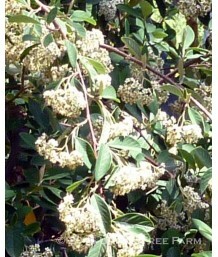 Grows slowly as a young plant then moderately fast on..
White Breath of HeavenEvergreen shrub. Soft to the touch, delicate slender branches that are fragran.. 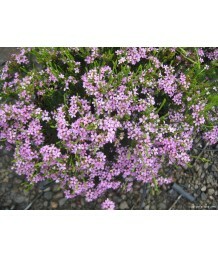 Pink Breath of HeavenEvergreen shrub. Moderate rate of growth. Upright rounded form. Wispy branches .. 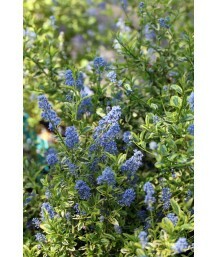 Compact Breath of HeavenEvergreen shrub. Moderate rate of growth. Compact spreading form. Wispy bran..
Golden Breath of HeavenEvergreen shrub. Slow growing. Horizontally spreading. Wispy branches give de..
Bush Morning GloryEvergreen shrub. 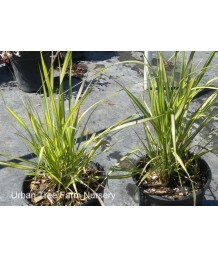 Grows quickly with smooth, gray green leaves. 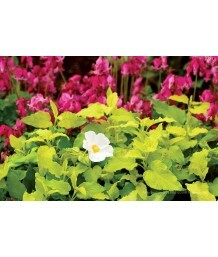 Pastel white or pin..
Mirror PlantEvergreen shrub. Delicate wiry stems clothed in tiny gold and green leaves. Moderate wat..
Mirror PlantEvergreen shrub. Bright green leaves, heavily shaded with copper. In winter, entire plan..
Mirror PlantEvergreen shrub. 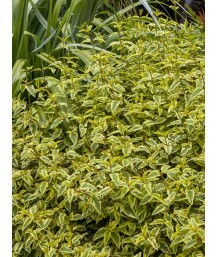 Glossy green leaves that are variegated gold during growing season and ..
Mirror PlantEvergreen shrub. Glossy green foliage that becomes tinged and infused with dark red. Mod..
Mirror PlantEvergreen shrub. Compact growth. Shiny new growth is edged with gold. As they mature, le.. Creeping CoprosmaEvergreen shrub. Medium-growing, spreading, broadleaf ground cover. 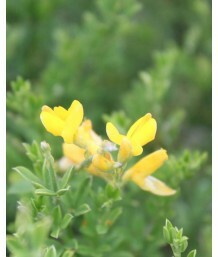 The small narro..
Mirror PlantEvergreen shrub. Spreading, mounding plant. Small, roundish oval leaves are bright shin..
Mirror PlantEvergreen shrub. Dense, upright, mounding habit. Brown leaves with pink highlights. Colo..
Mirror PlantEvergreen shrub. Dense, upright, mounding habit. Vivid red leaves with burgundy chocolat..
Mirror PlantEvergreen shrub. Dense, mounding habit. Green leaves with yellow margin that develops pi..
Mirror Plant/Creeping CoprosmaEvergreen shrub. Used as a spilling groundcover. Small grey-green leav..
Clumping CordylineEvergreen shrub. Palm-like, sub-tropical shrub that grows with an upright habit an..
Yellow Compact CorokiaEvergreen dwarf shrub. Slow growth. Tiny green leaves on twisting and interlac..
Australian FuchsiaEvergreen shrub. Dense gray-green velvety leaves. Red bell shaped flowers from win..
Australian FuchsiaEvergreen shrub. Small gray green leaves on copper colored stems. Ivory-white bell..
Australian FuchsiaEvergreen shrub. Broad oval leaves on furry grayish stems. Soft coral pink bell sh..
Australian FuchsiaEvergreen shrub. Olive green leaves with strong creamy colored margins. Rose pink .. 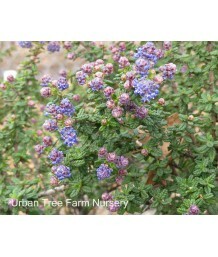 Chef'S Cap CorreaEvergreen shrub. Upright and oval when younger, spreading somewhat once more establ..
Australian FuchsiaEvergreen shrub. Compact. Smooth shiny deep green leaves. Light pink bell shaped f..
Australian FuchsiaEvergreen shrub. Small green leaves have a gray-green underside. Light pink flower..
Australia FuchsiaEvergreen shrub. Small green leaves have a gray-green underside. Rich pink flowers ..
Green Cape FuchsiaEvergreen low growing shrub. Small dark olive-green leaves. Bright red bell-shaped..
Australian FuchsiaEvergreen shrub. Small heart shaped green leaves. Red bell shaped flowers with cha..
Australian FuchsiaEvergreen Shrub. Small dark glossy olive green leaves. 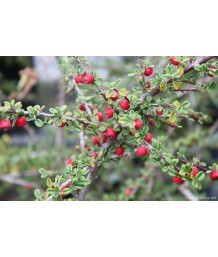 Tube shaped pinkish-red flo..
Bearberry CotoneasterEvergreen shrub. Fast growing groundcover. White flowers turn to bright red ber..
Bearberry CotoneasterEvergreen groundcover. Fast growth. Small glossy green leaves. 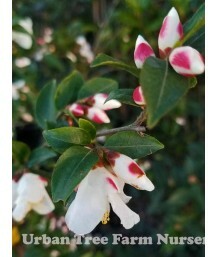 White spring flo..
Bearberry CotoneasterEvergreen shrub. Fast growing, low spreading mat. Small dark green oval leaves ..
Bearberry CotoneasterDeciduous shrub. Fast growing, low spreading mat. Small dark green oval leaves ..
Evergreen CotoneasterDeciduous shrub. Fast growing, upright with round growth habit. Small white flo..
CotoneasterEvergreen shrub. Fast growing, upright with round growth habit. White flowers are in clus..
Lantern TreeEvergreen tree. Lance shaped, tooth edged leaves are dark green above and whitish green ..
PapyrusPerennial sedge. Tall, dark green stems topped with clusters of green threadlike parts. Prote..
Scotch BroomHardy evergreen shrub. This variety is much less aggressive than the species and does no..